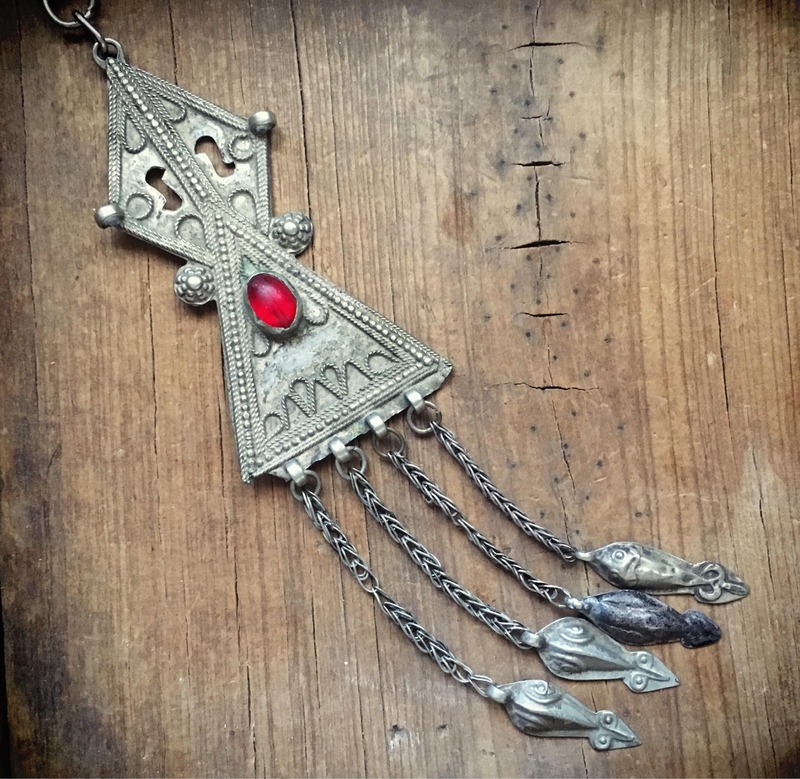 This vintage Turkoman Tekke silver pendant with amulets is wonderful, with the thick rolo chain and red glass bead. Red is a universally powerful color, representing joy, wealth, luck, even death in some cultures. 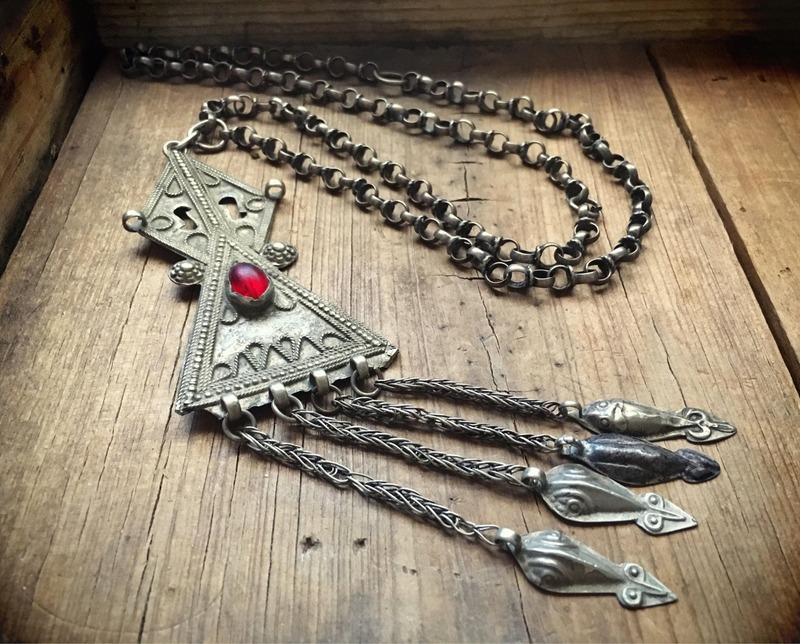 I've seen these pendants adorned with red Carnelian and the silver often fire gilded in gold. This piece does have a light golden tone to the surface but if there were any gilding, it appears to have been rubbed off. I believe this is actually a silver alloy given the brass colored backbone and verdigris tarnish on the back. 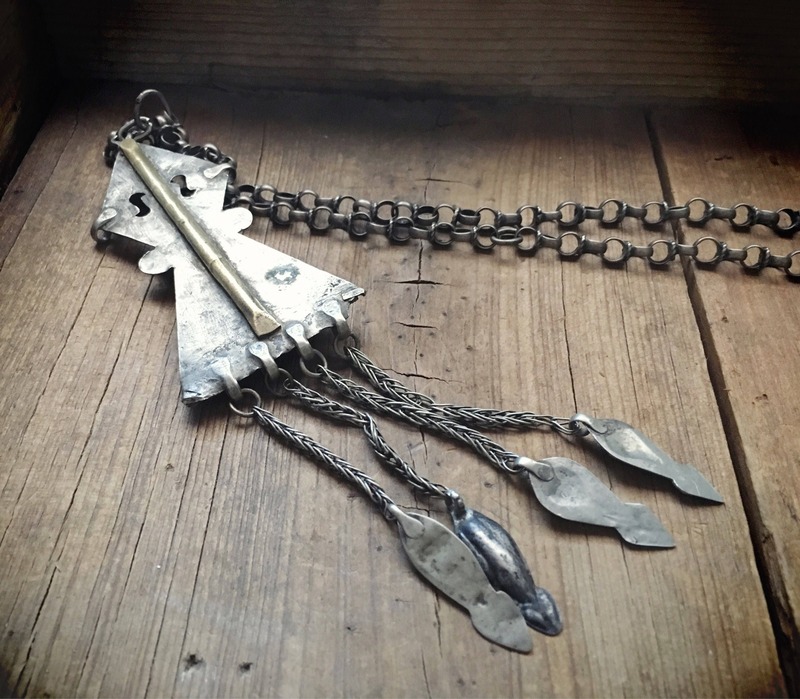 Still, with the handmade rolo chain, it is a striking long necklace that can be layered with other tribal jewelry for the ultimate bohemian gypsy vibe. 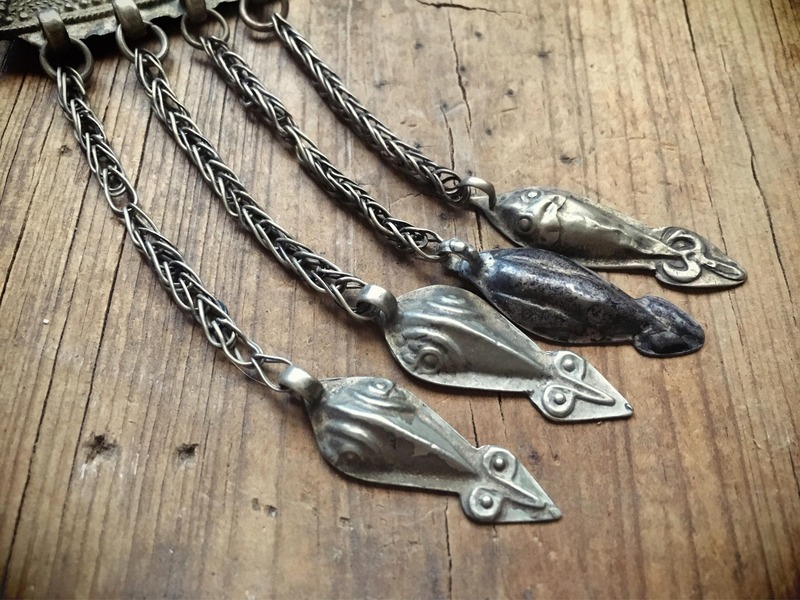 The pendant measures just under 2" wide at the widest point and 3-7/8" long from the eye hook at the top to those at the bottom. 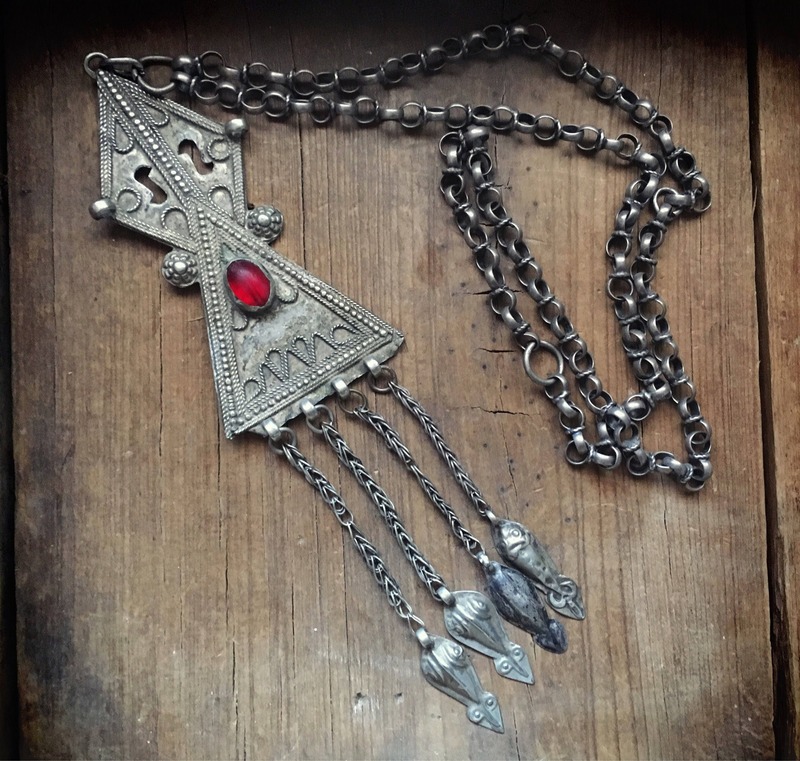 Add another 3" to the pendant length including the amulets for a total of 7" in length. 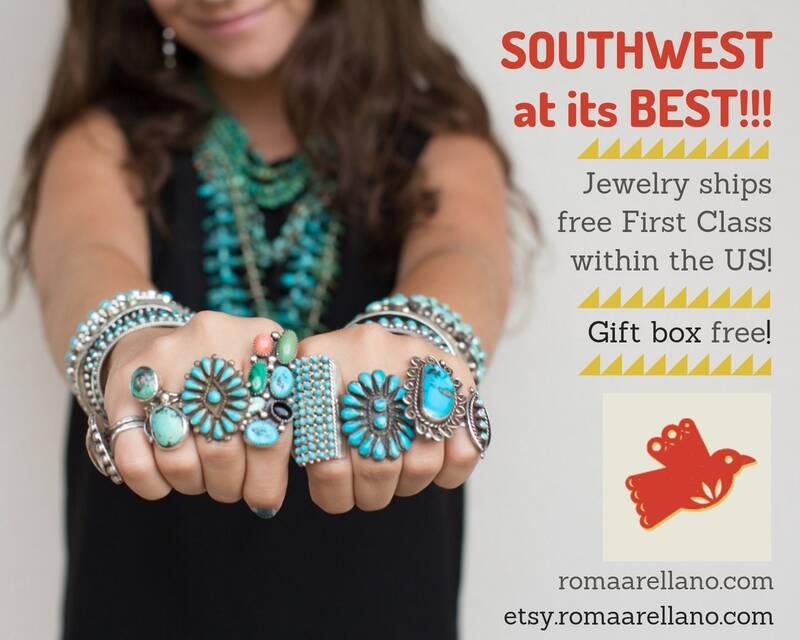 The rolo chain necklace is 26" total length and with no clasp must be placed over the head to put on and take off. 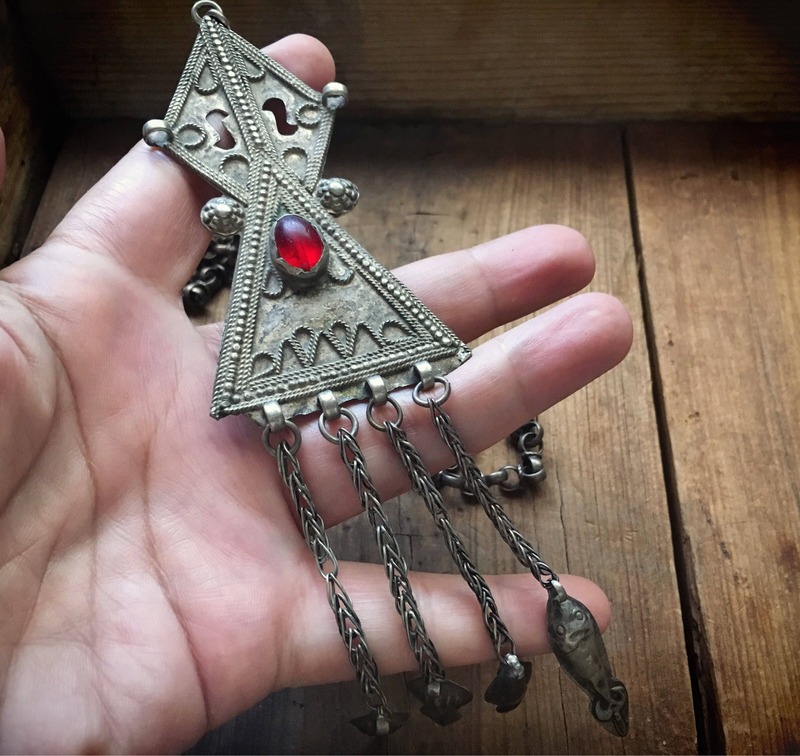 Authentic ethnic jewelry, old and soulful.